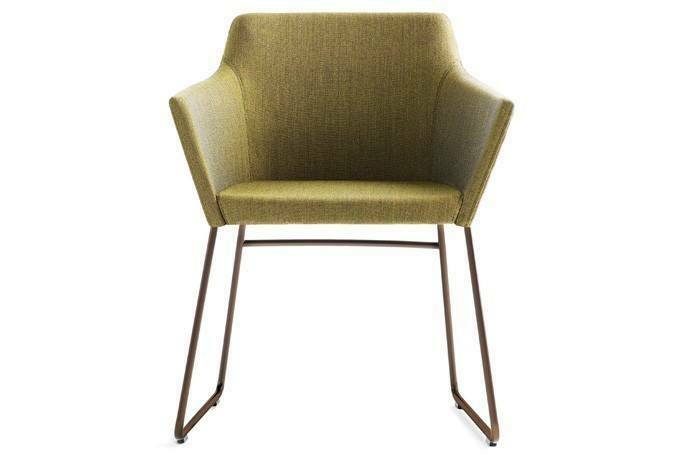 Guest chairs are now used in casual conference settings, canteens, private offices, and collaborative work areas, placing new demands on form and functional flexibility. Nestle rises to meet these demands with its harmonious ergonomic form and extensive array of base options including cantilevered sled frames, traditional sled frames, wood legs, four-blade bases with swivel returns, and five-blade bases on casters with height adjustment. Price includes a metal sled frame in standard finishes and C.O.M. upholstery.